While fans wonder if Valve will ever continue the Half-Life series, you can download an expanded version of long-in-development fan remake of the original, Black Mesa, right now. Technically, though, it’s still not done yet! Black Mesa is now available in Early Access for $20. You can still totally download an older version of the mod for free. Nothing has changed there. 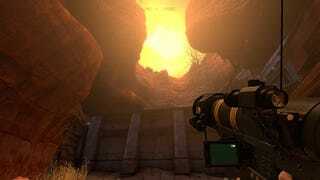 Black Mesa costs $20 now, but the price might go up, as development heads to the finish line.